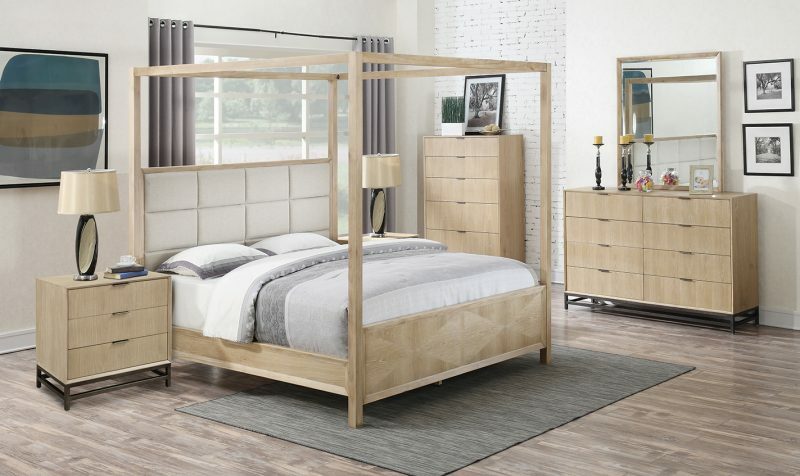 The Aden bedroom collection exudes sleekness and style through streamlined forms, grain character and unique metal bases. The focus in on silhouettes with a modern frame of mind. 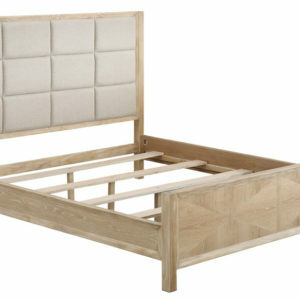 The Arden Collection is crafted of pine solids and oak veneers. Arden conveys architectural details and visual interest through the use of a white glaze infused finish on oak veneer, use of metal stand bases and upholstered tufted beds. 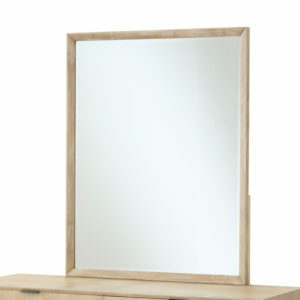 Understated hardware to maintain the contemporary attitude. 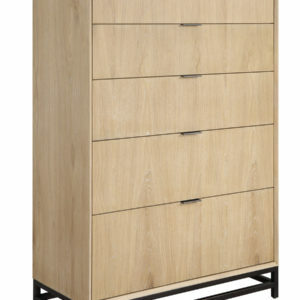 The sleek hardware pull blends with the drawer design. 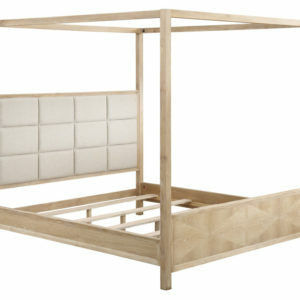 The dresser features eight drawers with ample storage for clothing. 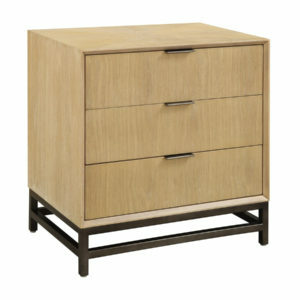 The drawer faces showcase the oak veneers and the subtle white glaze adds depth to the finish. 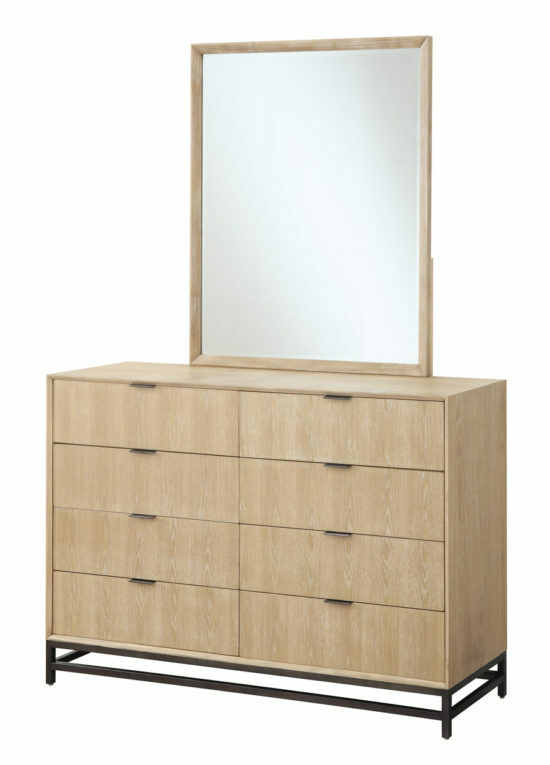 The combination of the clean lines of the dresser paired with the linear bar hardware convey a modern attitude.